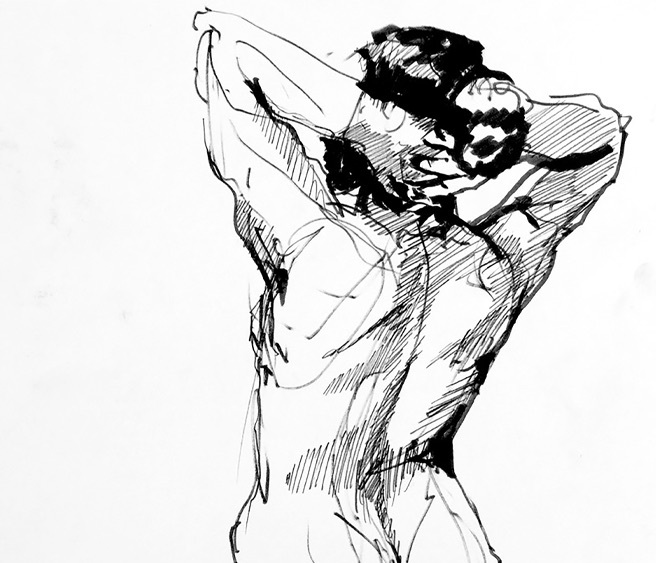 The course is dedicated to the practice of building a drawing of the figurative form. This will include proportion, anatomy and the elements of drawing (line, tone and highlight). The work will be done primarily in dry media with pencil, pastel and charcoal. We will also work in ink washes with pen to further study how line and tone combined create volume. Time will be spent looking at the strengths of compositional relationships, including the use of positive and negative space for strength of visual statement. Poses will range from 1 minute gesture studies to 15- minute poses. Natalie Craig's goal in teaching is to offer students avenues into their own creative expression. She presents foundations in drawing/painting basics and composition. She introduces the works of various artists to help promote expressive insight. Natalie is a studio artist in northern California and exhibits her work nationally. She holds a BA from San Diego State University and an MFA from Cranbrook Academy of Art and has participated in arts residencies in the US, Europe and South Africa to further her own creative work.